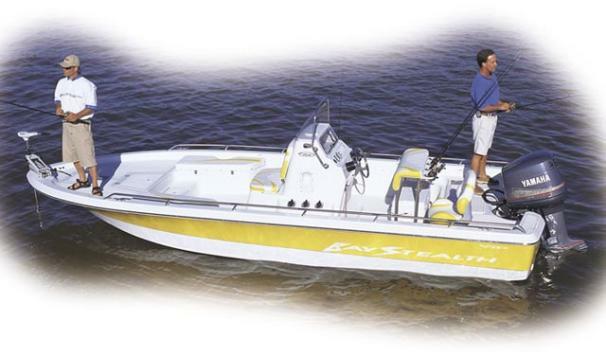 2002 Bay Stealth 2230 Liner ONE OF THE BEST FISH BOATS MADE. LOTS OF ROOM AND STORAGE PLUS LOTS OF ADDITIONAL OPTIONS TALL CONSOLE,ROCKET LAUNCHER ON LEANING POST,PREMIUM BIMINI TOP, TROL MOTOR, AND MANY MORE OPTIONS. INCLUDES YAMAHZ200 TXRZ TWO STROKE AMD GALV TRAILER. CALL SONNY FOR DETAILS. 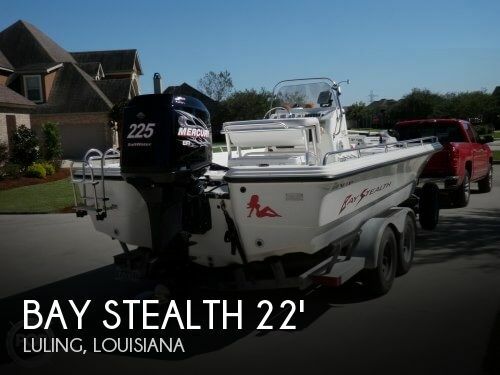 2001 Bay Stealth 2230 Liner ONE OF THE BEST FISH BOATS MADE. LOTS OF ROOM AND STORAGE PLUS LOTS OF ADDITIONAL OPTIONS TALL CONSOLE,ROCKET LAUNCHER ON LEANING POST,PREMIUM BIMINI TOP, TROL MOTOR, AND MANY MORE OPTIONS. INCLUDES YAMAHZ200 TXRZ TWO STROKE AMD GALV TRAILER. CALL SONNY FOR DETAILS.